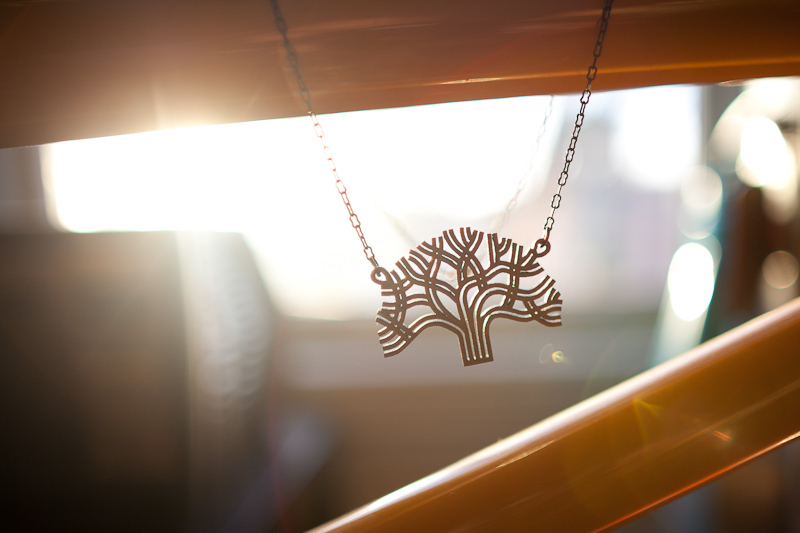 View cart “Oakland Tree Lasercut Bamboo Pendant” has been added to your cart. A beautiful bamboo City of Oakland pendant on a 18″ brass chain. 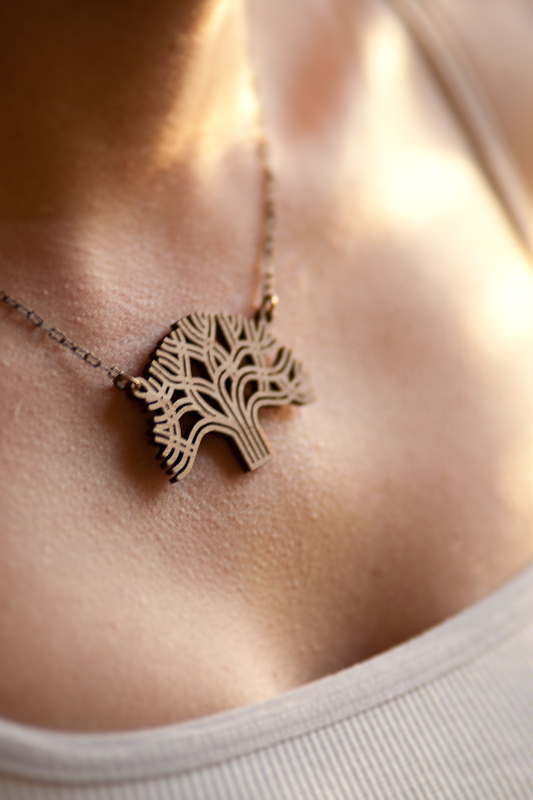 This pendant features the City of Oakland’s oak tree logo laser cut from bamboo on a brass chain. 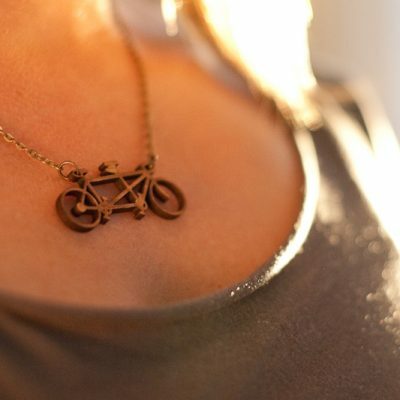 The lightweight pendant hangs on a 18″ brass chain necklace and sits about collarbone high. I’ve modified and optimized the Oakland logo for the laser cutting process to improve the pendant’s strength and durability. Keep your money in the Oakland community. These earrings are laser cut here in West Oakland. The earrings come on a card also printed here in Oakland. OAKLAND INSPIRED. 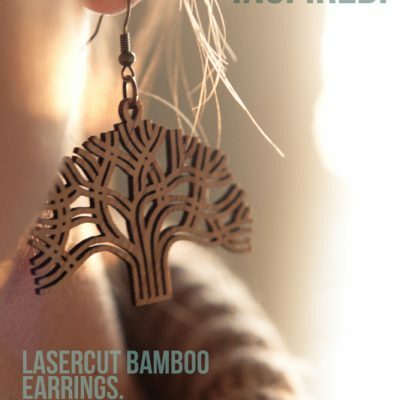 LASERCUT BAMBOO. DESIGNED IN OAKLAND. MADE IN OAKLAND. BY ANTIETAM DESIGNS.